Outsold only by the soft and plush Camry, Honda Accord is one of the best family sedans on the market. The Accord's roomy cabin, solid built quality and top safety ratings are the key selling points. 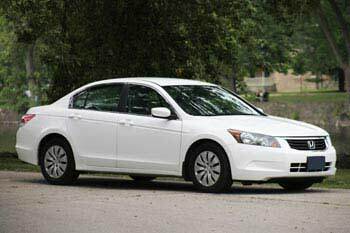 Redesigned for 2008, the Accord is available as a sedan or coupe, with a 4-cylinder or V6 power. 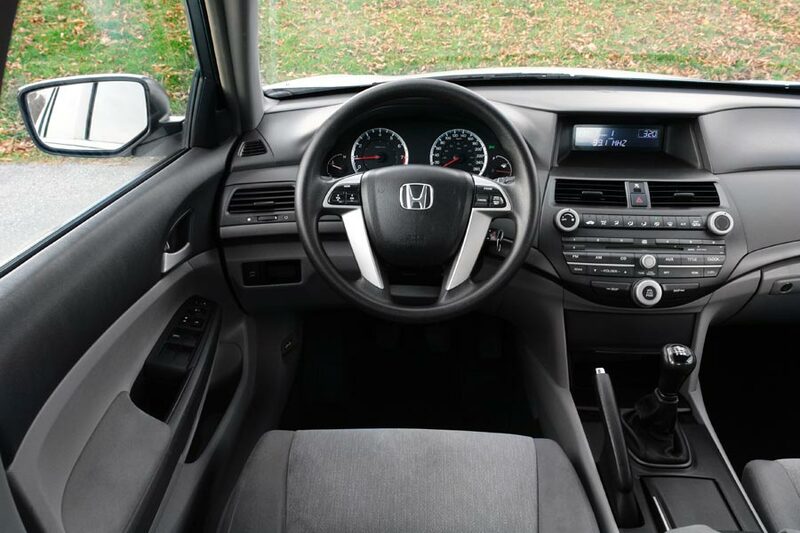 The Accord's interior is stylish with plenty of room in the front and back. Front seats are comfortable on long trips and the visibility is excellent all-around. The handling is excellent; the ride is on the firm side, but comfortable. Overall, it's a safe and reliable car. We have researched common problems and concerns that used car buyers should be aware of; read more below. Problems: In the 2.4L 4-cylinder engine, a loud rattling noise at a cold startup could be caused by a faulty VTC actuator (a part that adjusts camshaft timing). The noise is noticeable when the car is first started after sitting for a few hours. According to the Honda TSB on this issue, the VTC actuator will need to be replaced. Parts and labor are estimated at $380-$520. Rear brake calipers may seize or leak. A low brake fluid warning light is one of the indications of a leaking brake caliper. Read more about brake calipers. Replacement cost may vary from $250 to $380 for one caliper. There are quite a few complaints about excessive oil consumption, mostly in 4-cylinder models. The solution is to check the oil level on regular basis and top up as needed. To properly address the problem the engine will need a major work. A bad front wheel bearing can cause a humming noise at 40-50 MPH. Replacing a front wheel bearing costs $310-500. In a V6 models with the VCM (variable cylinder management) oil consumption could be caused by "repeatedly switching on and off" when cruising on the highway, as per the Honda TSB (service bulletin). Honda recommends updating the PGM-FI (engine computer) software as a solution. We researched Honda Accord forums and found that several Honda owners confirm that updating the engine computer software in V6 VCM models helps with oil consumption. What to look for when buying a used Honda Accord: The first important thing is to check the service records: was the engine oil changed regularly? Has the timing belt in the V6 engine been replaced? When was the transmission fluid changed? What other maintenance services had been performed? Was the car serviced at a dealer? Checking the used car history records may also shed some light on the car's past and give you some confidence that the car wasn't restored after an accident. When checking a car at the lot, the best way to detect engine issues is to start it cold: if you notice the engine rattles when started, or there is a blue smoke from exhaust, avoid a car. When checking inside, try if all door locks work; a few people mentioned the door locks problems on various forums. During a test drive, watch out for noises. Test driving on the highway may help, as many issues and noises are only noticeable at higher speed. Check the engine oil level, if the level is low, it might be an indication that it consumes oil. Read how to check the oil level. Engine: The Accord's base 2.4L DOHC engine tops most of the 4-cylinder family sedans in power. The 2011 4-cylinder Accord is rated at 190 horsepower, ahead of the 4-cylinder Toyota Camry (169 hp), Nissan Altima (175 hp), Mazda 6 (170 hp), Chevrolet Malibu (169 hp) and Ford Fusion (175 hp). Overall, this is a very good engine; the only complaint that is mentioned on several forums is the excessive oil consumption. Mechanically, this engine hasn't changed much from the previous generation; it still comes with a maintenance-free timing chain. 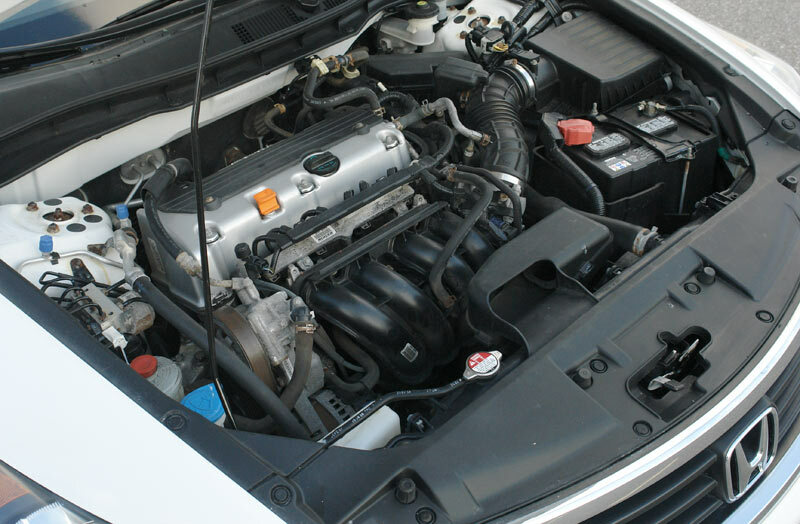 The 3.5L SOHC V6 is one of the best engines in its class; it's very smooth and powerful. The V6 has a timing belt that needs to be replaced in recommended intervals. Fuel Economy: The 4-cylinder Accord is rated around the middle of the class, however the V6 Accord bests many other V6-powered family sedans. Handling and ride: The Accord drives well, but it's not the most sporty car in the class. The ride is firm, as in many other Honda vehicles and you will hear some road noise. The 4-cylinder engine offers good low-end torque and is pretty strong in day-to-day driving. The V6 is a rocket, especially with an available 6-speed manual transmission; it sounds pretty good too. Pros: Safe and reliable, satisfying driving experience, holds value well, roomy stylish interior, good visibility, comfortable seats, available as a coupe, torquey 2.4L 4-cylinder engine, very strong and smooth V6. Cons: Noisy interior plastic, firm ride, road noise, USB is only available in 2011 and 2012 models. Safety: Antilock brakes, Stability Control, Side and Side Curtain airbags and Daytime Running Lights are standard. The 8-the generation Accord scored well in both the insurance industry and government crash tests. See the NHTSA crash test results for the 2008-2010 Honda Accord in the table. For 2011, the NHTSA introduced tougher tests, where the 2011-2012 Honda Accord sedan scored perfect five stars out of five in all tests, including rollover. The 2011-2012 Accord coupe was not tested. Overall: Despite minor drawbacks, the 2008-2012 Honda Accord is one of the best family sedans on the used car market. It's roomy and well built. Consumer Reports rates the used Honda Accord 'above average' for reliability and marks it as 'Good Bet' for used car buyers. Among the competitors, the soft, extremely comfortable and user-friendly Camry is leading the pack. Nissan Altima is a bit smaller, but it handles very well. On the downside, the Altima's only automatic transmission choice is a continuously variable transmission or CVT and not everyone likes the way it feels when accelerating. Mazda 6 has a noisier ride, but is also not a bad choice overall. Maintenance tips: Check your engine oil level regularly. There is no light on the dash that will alert you about your engine oil level being low. Running the engine low on oil will cause many problems. Checking the oil level is easy. Read our maintenance checklist with illustrations. You can easily find the oil dipstick in either the 4-cylinder or V6 engine, as it has a bright orange handle. For 2008-2010 Accord, Honda recommends using premium-grade 5W-20 engine oil; while the 2011-2012 Accord takes 0W-20 synthetic oil. For the automatic transmission, use only the original Honda transmission fluid. The recommended transmission fluid type is different for different years; check with your Honda dealer. 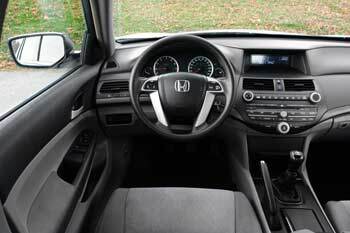 Honda recommends changing the automatic transmission fluid using the "drain and refill" method. You can check the transmission fluid level and condition using the dipstick. See more info: How to check Automatic Transmission Fluid. One maintenance item that is often neglected is the cabin air filter; in a Honda owner's manual it's called Dust and Pollen Filter. It filters the air that comes into the cabin. Honda recommends replacing it every 15,000 miles (24,000 km). Honda Owner's Manual and Warranty - read an owner's manual online, check what's covered by the warranty.